Don’t miss out on our BOO-TOX Event! 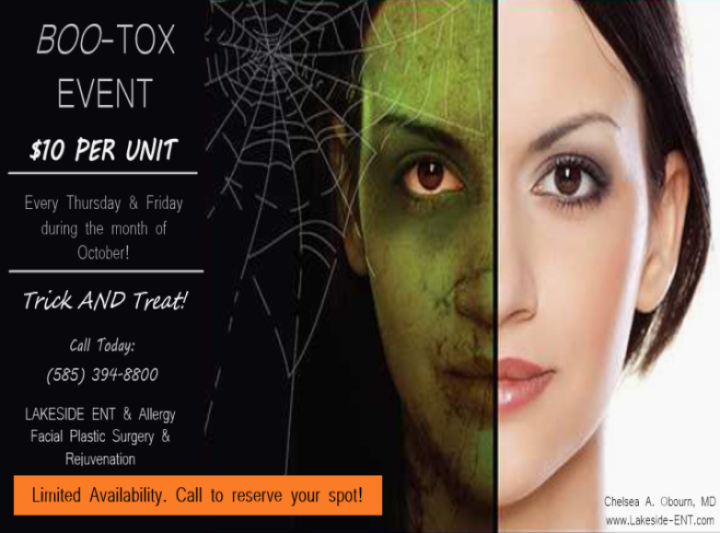 schedule your BOO-TOX (Botox®) appointment on any Thursday or Friday for the entire month of October with Dr.Obourn! Event includes Botox® injections for $10/per unit on selected dates! Call during normal office hours for more details! Hurry! Limited Availability!! !